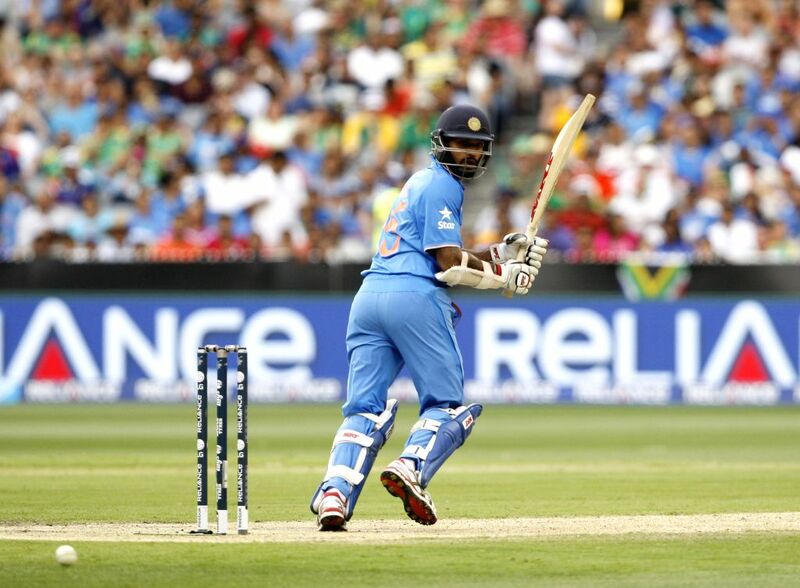 Melbourne: Indian cricketer Shikhar Dhawan during an ICC World Cup 2015 match between India and South Africa at Melbourne Cricket Ground, Australia on Feb 22, 2015. 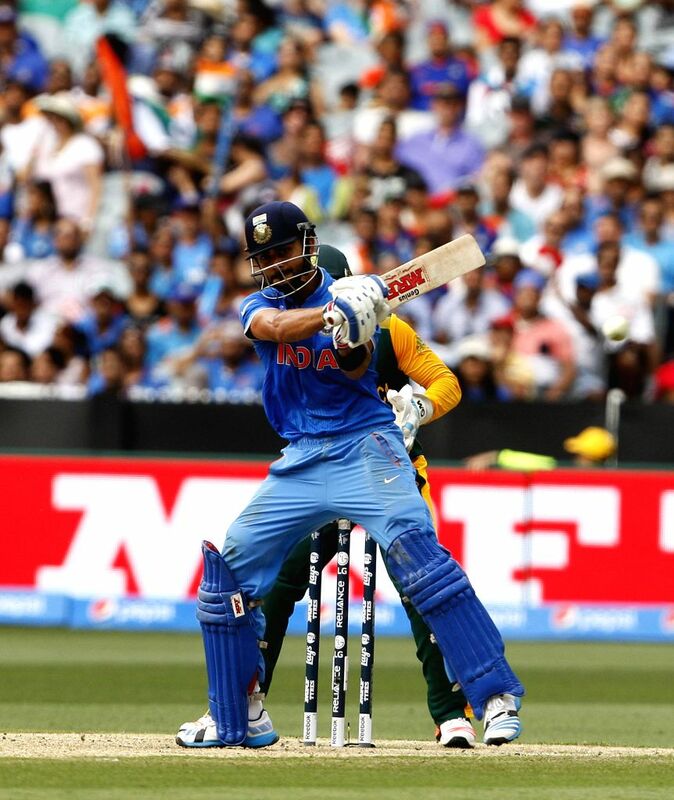 Indian cricketer Shikhar Dhawan celebrates his century during an ICC World Cup 2015 match between India and South Africa at Melbourne Cricket Ground, Australia on Feb 22, 2015. 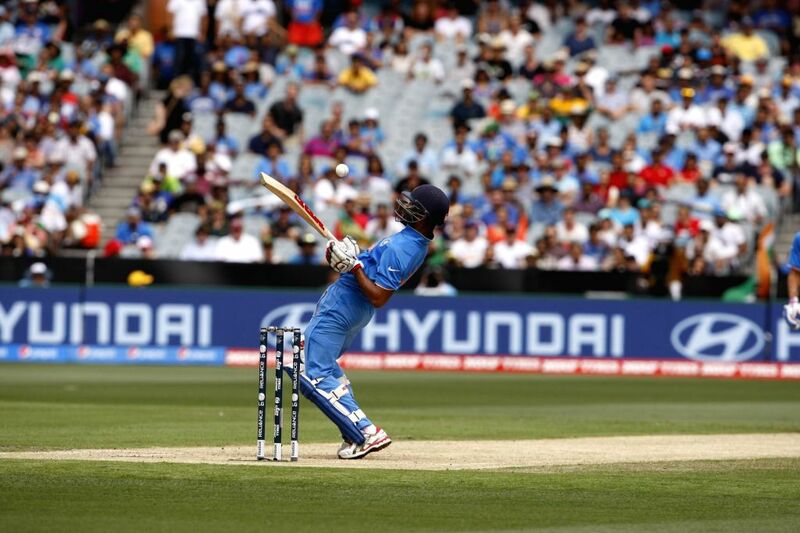 South African cricketer Ajinkya Rahane in action during an ICC World Cup 2015 match between India and South Africa at Melbourne Cricket Ground, Australia on Feb 22, 2015. 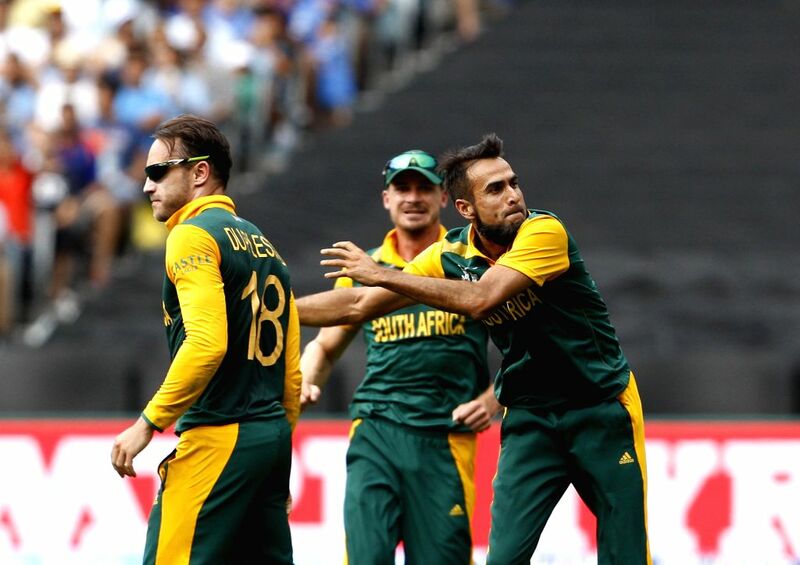 South African cricketer Imran Tahir celebrates fall of a wicket during an ICC World Cup 2015 match between India and South Africa at Melbourne Cricket Ground, Australia on Feb 22, 2015.